The house is a reflection of the success of the papermaking industry that thrived along the River Aa for over five centuries. 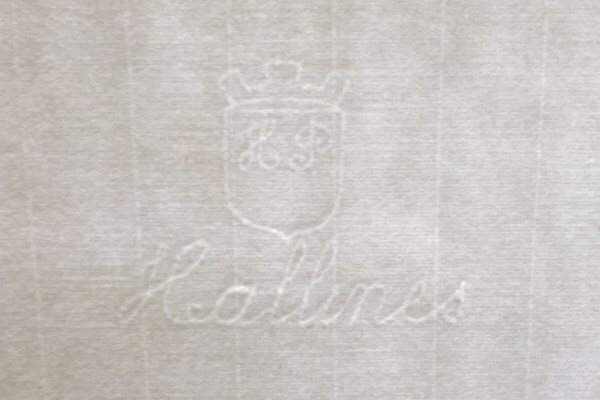 The first record of a paper mill in Hallines is in 1473. The area was prospering when Albert Hudelist built the original house, between 1826 and 1836. The back steps, the dining room, bedrooms 2, 3 and 6, and the spiral staircase were all constructed then. The Hudelists had one son, but he died before his parents, and they sold the house to the Dambricourt family in 1856. 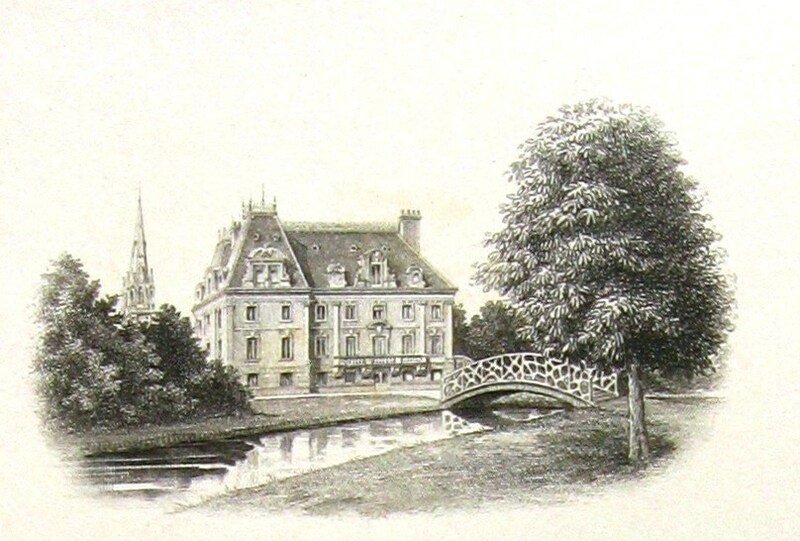 The Dambricourts, by the end of the nineteenth century, would own nine paper mills on the River Aa, and be the second biggest paper makers in France. Their high quality paper with its ‘Hallines’ watermark was the favourite paper of Victor Hugo. 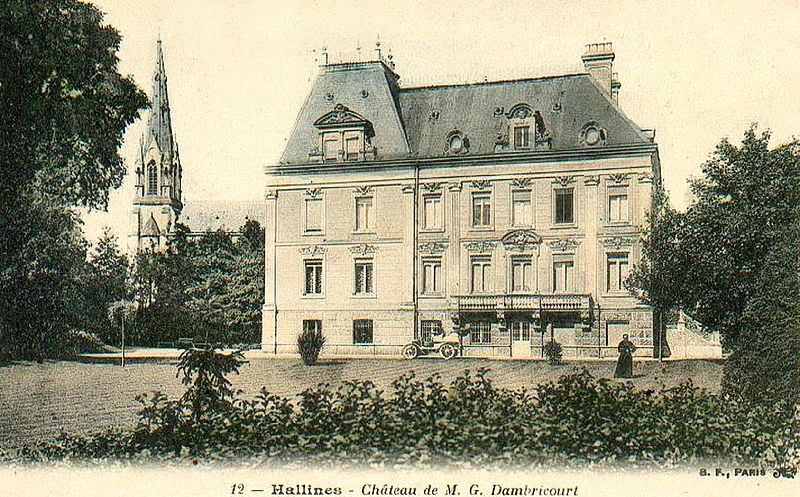 Much of the Dambricourt wealth that was derived from the paper industry was ploughed into huge local building projects of which this château was one. 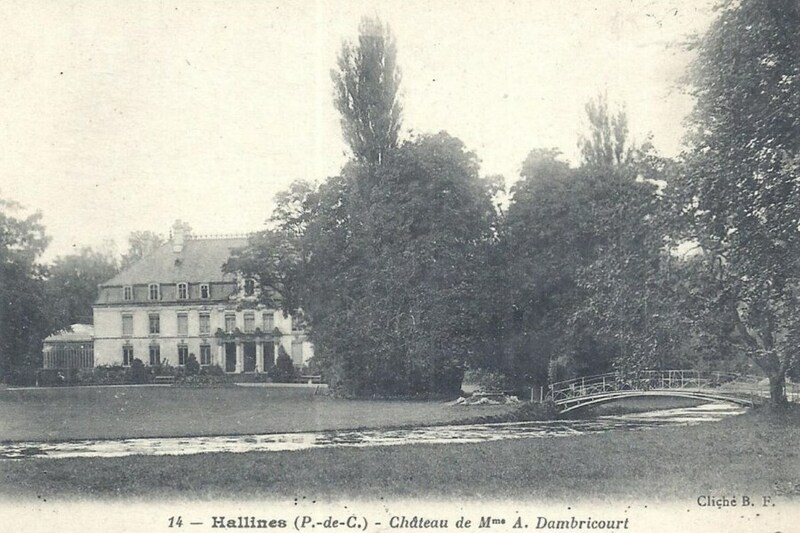 In 1848 August Dambricourt bought the château that is 500 yards west of this house. They added a stable block of similar design to the one here. The church, designed by Clovis Normand, was built between 1869 and 1874. Madame Anna Dambricourt transformed this house, in a style typical of the time. By adding two new areas onto the sides of the existing house, its size was tripled. The front door, the entrance hall, the grey sitting room, the kitchen, the main staircase and the style of roof all date from this rebuild. The construction work finished in 1885 and the interior woodcarving was completed in 1900. 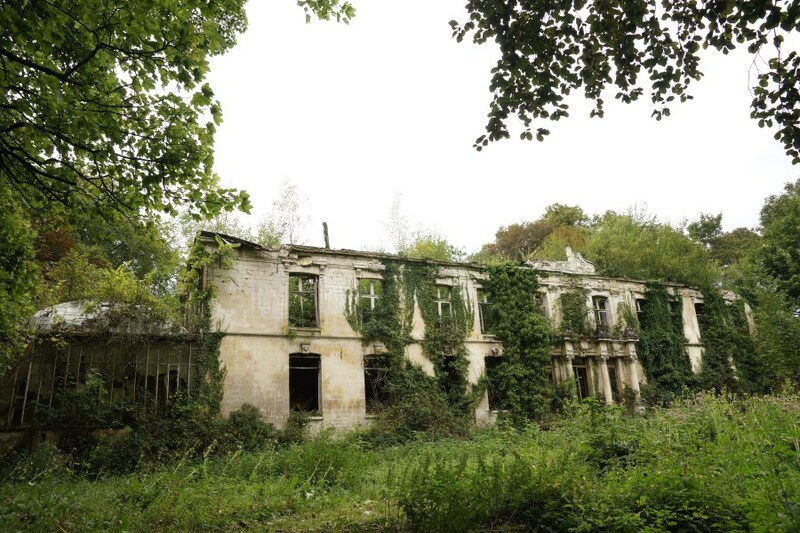 The house was too far from the trenches of the First World War to be requisitioned by the Allies, and the house remained in the Dambricourt family. During World War II there were Nazi generals garrisoned in both châteaux, helping to co-ordinate local defences and the V2 bomb factory in Wizernes. After the war, the family returned to the house, and it continued to play a role in village life. Many of the adults in the village attended summer school here, and those who got married in the village often had their photographs taken on the wooden bridge. In 1987 the house became the Hostellerie Saint Hubert, a hotel and successful restaurant. The other château remained in the Dambricourt family until Madame Paul left and the house then fell into disrepair. It burnt down in 2002. The grounds have since been bought by the village and might, one day, be turned into a park. The Dambricourt family have dispersed around France, but they had a family reunion in 2016 and many of them visited the house. 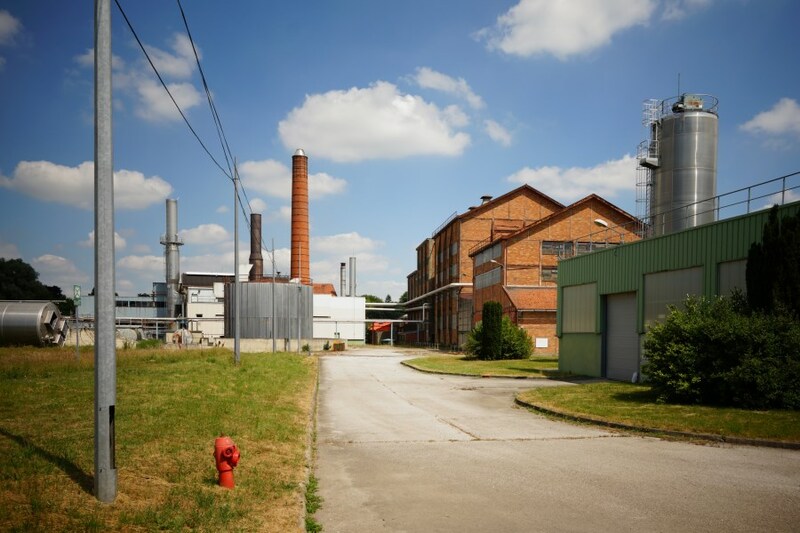 Paper manufacturing continued in Hallines until 2015 when the enormous ArjoWiggins factory closed. 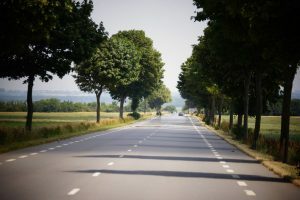 The moth-balled site can be visited by following the road left out of the château and walking for ten minutes.